First, let&apos;s meet the developers. 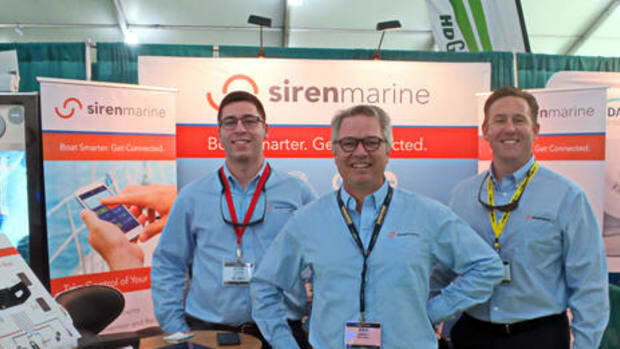 Nautic Alert is part of a family-run company called Market Spectrum, Inc. where the family trade is information technology (IT), while the family passion is boating. 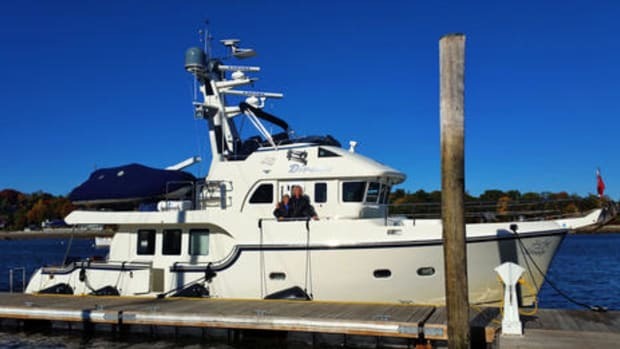 One key chapter to the story is how the father, Fernando Velado, lost his sailboat to an untended fire on a nearby vessel, even though he made a weekly two-hour roundtrip to the marina to make sure his own boat&apos;s systems were working properly. 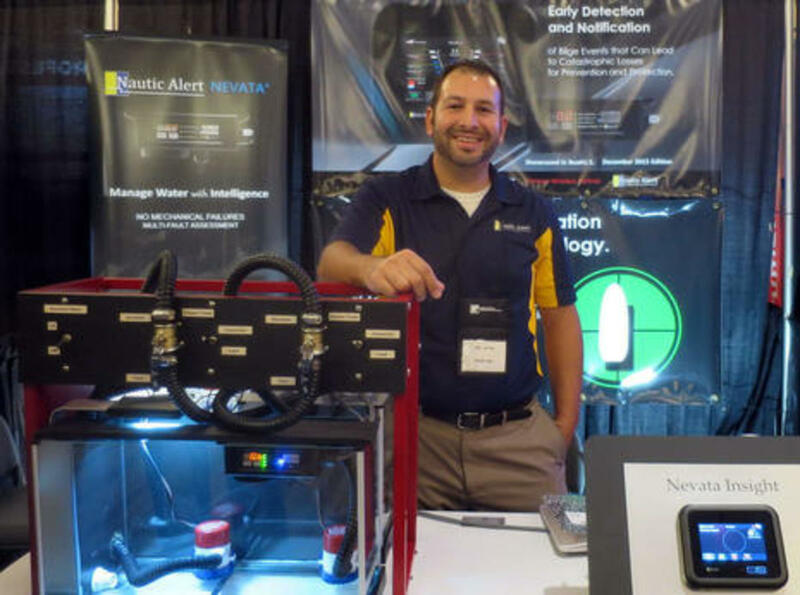 Second was when the son, Nick, left his position as a BIOS engineer in the IBM SystemX server group to join his dad full time and create the protective system he&apos;s showing off at the 2016 NMEA conference above. I&apos;ll also mention how motivated my Nautic Alert testing has been. Just as I was about to install the system, various events indicated that I had gotten quite sloppy about what is arguably the most basic tenet of successful seamanship. There I was happily thinking of Gizmo as a dry boat with a good redundant automatic bilge pump system -- that&apos;s the primary deep in the aft bilge above, and there&apos;s a larger fully independent backup pump forward of the engine. But, in fact, I was operating for at least a few weeks last summer with neither bilge pump functional and a dripless shaft seal that was about to let go in a very wet way. 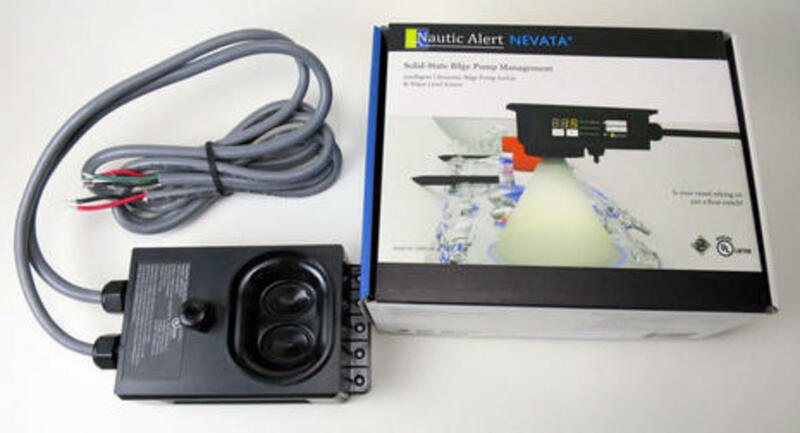 There are two main hardware components to the full Nautic Alert platform, and the Nevata bilge pump switch and controller can be used by itself. 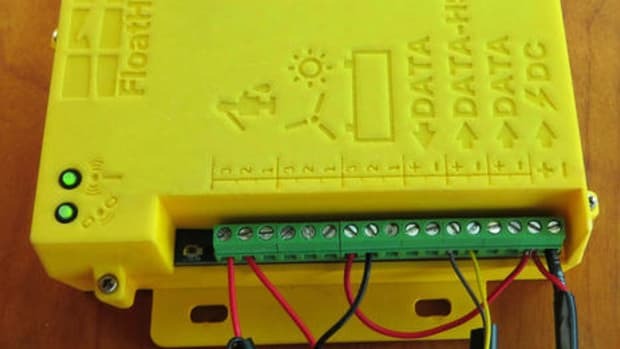 My photo shows the ultrasonic sensor that constantly watches the water level, and also the heavy duty cables that connect to a boat&apos;s 12, 24 or 32 volt supply and to the bilge pump. Actually that&apos;s the $549 Nevata 2R model that can manage two pumps, but in either case replacing existing pump switches should not be hard, and this one is not just solid state. It&apos;s intelligent, faithful, and well spoken. Lucky guy that I am, Gizmo&apos;s semi-failed shaft seal remained dripless under about 7 knots, and so for a few days I was able to sit about where I took this photo (holding the camera beneath the prop shaft) and easily control a steady flow of water into the bilge. That&apos;s how I became confident that the Nevata can consistently measure water depth to 0.1 inch accuracy, and I also watched several times as it responded instantly to the (customizable) 2-inch pump-on level by running the pump exactly to when it started sucking air. 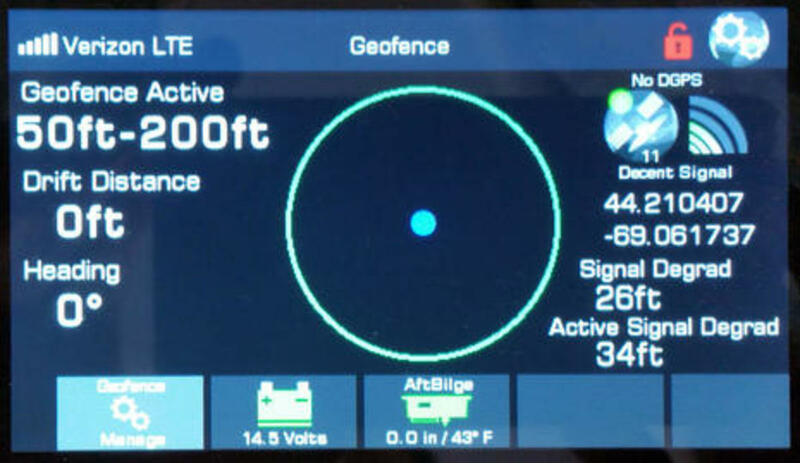 I can imagine using a Nevata standalone, especially if it could be installed in a more visible location than mine, but I have to add that when I recently sent this test Nautic Alert Insight in for a firmware update, I missed it every single day of the roundtrip. 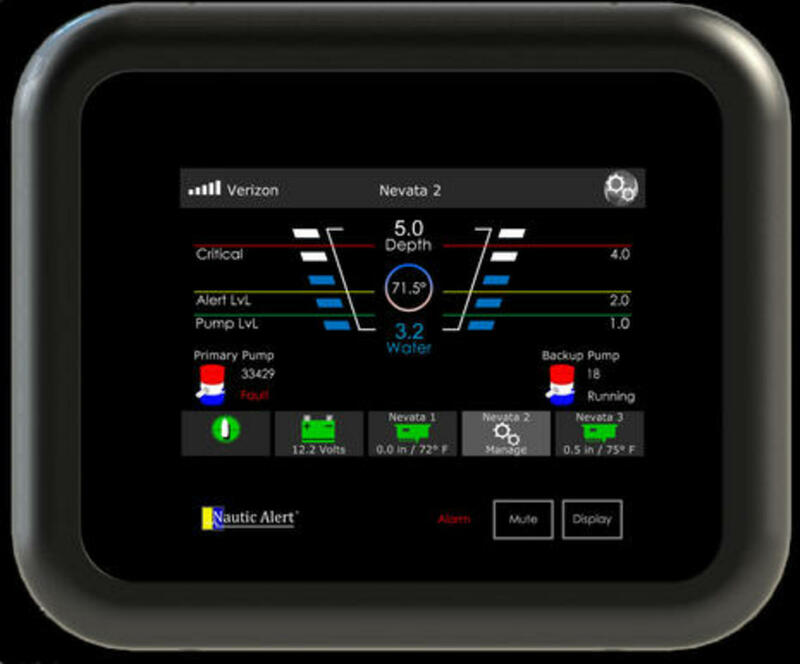 The Insight adds yet more intelligence to the Nevata bilge management, plus GPS and battery monitoring, plus data display, louder alarming onboard, and remote alarming with a service plan. That is a 95dB siren on the backside, which makes a lot more noise than what&apos;s typically built into MFDs and other displays, and an external audio alarm is also supported (and both can be muted). 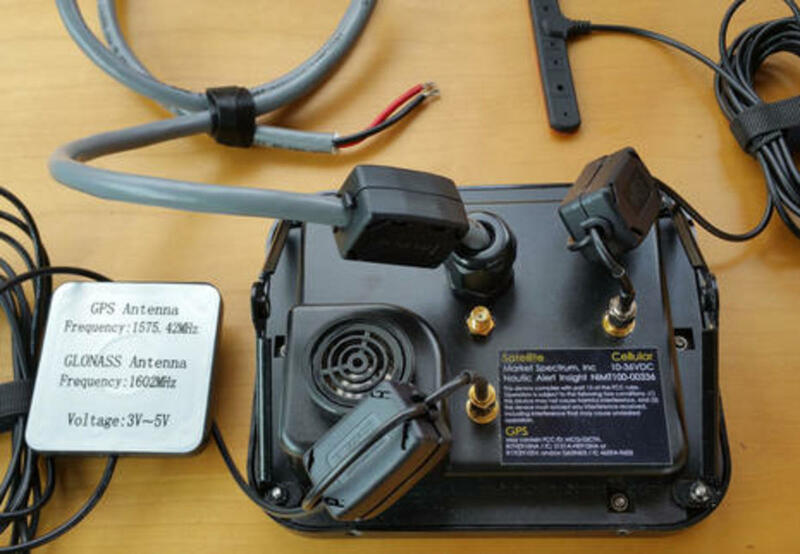 In this photo you can also see the GPS and Verizon 4G LTE cellular antennas that come stock with the $996 Insight (sale price), though higher performance antennas are possible. But that "Satellite" port is just a dummy. While there will soon be an Iridium model of the Insight, and it will use the same case with similar service plan choices, customers will have to choose between cell or satellite communications at purchase. The Insight&apos;s 4.3-inch, 480 x 272 pixel touchscreen is hard to photograph but great to use, and I also find the interface very friendly. 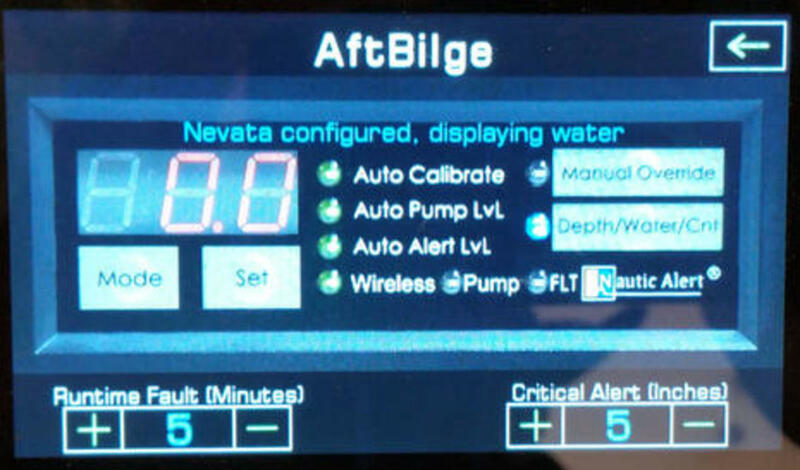 Note, for instance, that when I selected this Nevata bilge screen, its button immediately flipped to Manage mode so two taps would have gotten me to the sensor&apos;s setup screen, and all use my "AftBilge" custom Nevata name. I have a more interesting main Nevata screen further down, but note for now that when attached to the Insight, the Nevata delivers bilge temperature as well as water level. That temperature -- also available via phone texting or on my Nautic Alert web portal -- has been very valuable to me, trying as I am to keep my boat commissioned through a Maine winter, and worried as I am about how a freeze/break/thaw seacock scenario could sink my beloved boat almost as fast as a 4G text message. And given the wild climate fluctuations that have so far made my experiment nearly pleasurable, remote bilge temperature might be valuable in places where winter in-water storage is more common, but so are polar vortexes. Incidentally, throughout this process I could check on the Insight&apos;s precise wireless connection to the Nevata, even by phone. In fact, I can tell you that the signal strength is a solid 61% right now. That&apos;s the Velado way. 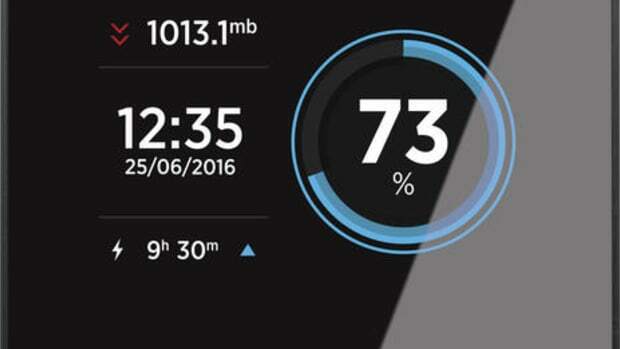 The Insight&apos;s interface is pleasantly consistent throughout, except that the Manage Nevata screen understandably mimics the sensor/controller&apos;s own interface. So I can manually run the pump from here, as well as autocalibrating, setting the pump-on level (Alert is 1 inch higher), and more. Plus, I can set the Critical Alert level and what I think is the critical Runtime Fault value. 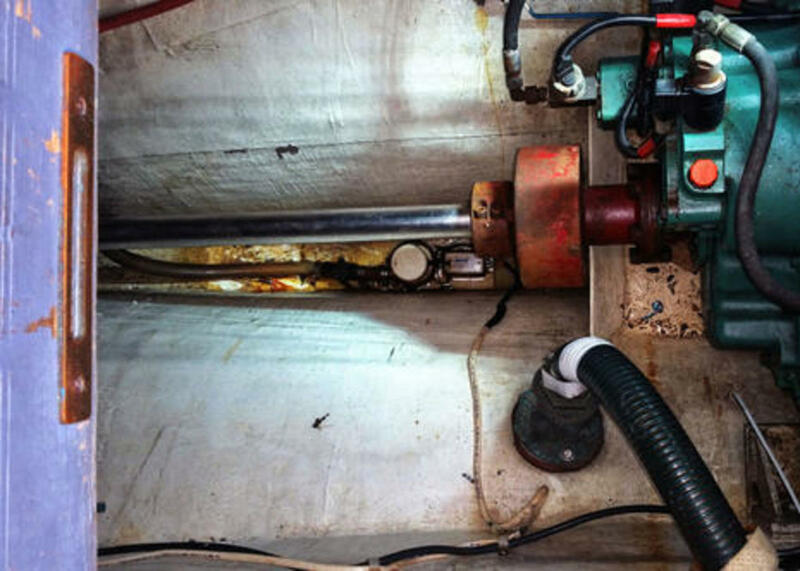 A situation that has sunk boats despite high water alarms, cycle counters, and even remote monitoring, is when a pump starts running for long periods trying to keep up with a sudden leak and eventually kills the battery. But if Gizmo&apos;s primary pump runs more than 5 minutes continuously, my phone is going to vibrate and chime with the alert and/or I&apos;ll hear the Insight siren fire off (especially if I install the remote alarm on the flybridge). This is Nautic Alert&apos;s own screen photo and I believe it&apos;s showing the six-bilge-pump system diagrammed at the top of the entry. The three Nevatas should and could be named for the sections of the boat where they preside, but you can see how the primary pump controlled by Nevata 2 has failed, allowing bilge water to rise above the Pump and Alert levels, but that the backup pump is now taking care of it...all automatically. I don&apos;t know exactly how that (test?) pump failed (after 33,429 cycles, at least since the last Nevata auto calibration), but I do know that the Nevata can detect over and under current situations as well as the fact that a running pump really isn&apos;t pumping. It also tests the one or two pumps it&apos;s managing weekly, and it knows not to try pumping frozen water. When we Sail magazine judges gave Nautic Alert a 2017 Pittman Award, I wrote that it&apos;s like having "a tireless mate who constantly minds the bilge, manages the pumps intelligently, and lets you know what&apos;s happening..." and I hope you&apos;re convinced. Nautic Alert Insight battery bank monitoring is also sweet, and again my winter in-water experiment provided a good testing situation. 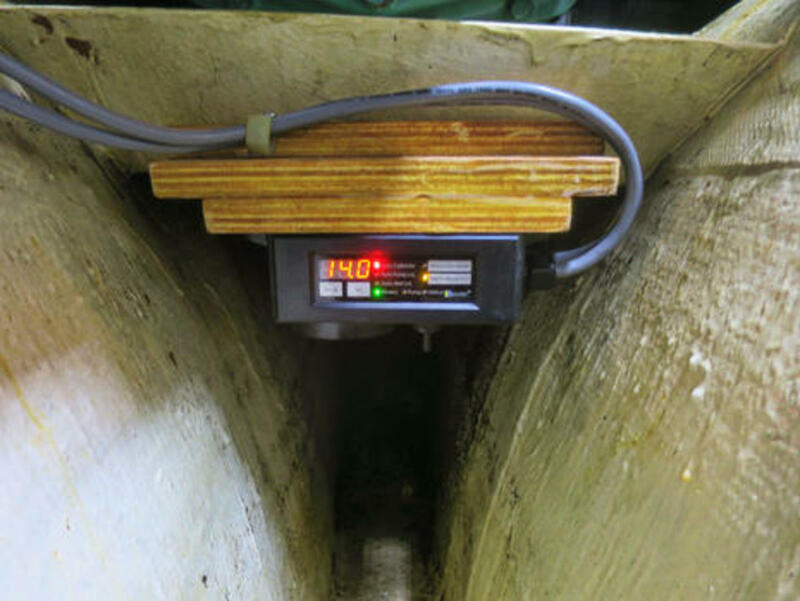 I only recently was able to borrow the tool needed to adjust Gizmo&apos;s Victron MultiPlus inverter/charger to provide the correct float voltage to her new Firefly battery bank, so I&apos;ve only been using shore power when I was on the boat. It&apos;s like when she is on the mooring; I want to be alerted about low voltage, and I also want to be able to check from wherever I am if I&apos;m concerned. 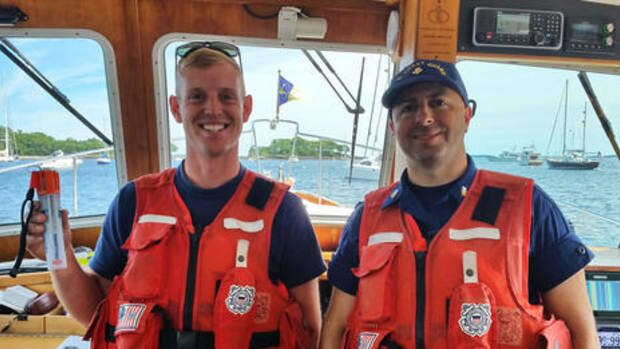 This is not as simple as it sounds, but Nautic Alert delivers. 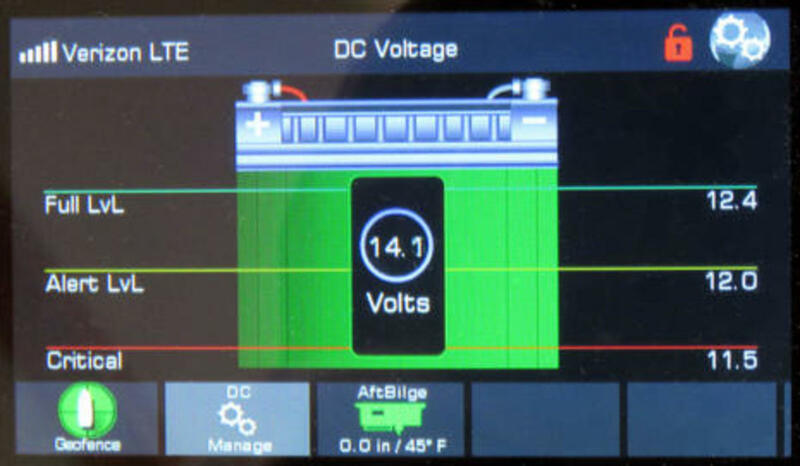 The Insight can be easily configured for one of several standard battery types or you can custom set Full, Alert, and Critical thresholds. Moreover, to avoid false alerts and alarms due to transitory voltage spikes -- an annoyance I&apos;ve seen with other monitoring systems -- Nick programmed in 30-second continuous voltage averaging before a "threshold transition" is declared. And once he came across an obsessive battery watcher (me), he added that customizable filter, which can be set from 10 seconds to 30 minutes. Finally, he recently added a six-hour voltage trend feature to the Nautic Alert web portal that each owner gets, and I&apos;m already using it to diagnose a possible issue. But I don&apos;t mean to make the Nautic Alert sound overly complex. In fact, it&apos;s darn easy to set up and use. But if you do poke around under the hood, I think that you, too, will be pleased with how much careful engineering has been done. And that applies to power consumption as well. The Nevata is rated at 20 milliamps (0.02 amps) maximum draw on 12 volts, and I have verified that the Insight in my real situation uses significantly less than its rated 200mA with screen on (at 680 nit maximum) and 80mA with screen (automatically) off. So it&apos;s no surprise that the Nautic Alert geofencing is also sophisticated. Specifically, the software watches the GPS receiver&apos;s perceived accuracy and adjusts the minimum geofence radius set to avoid false alerts. Of course, I had to push that concept, too, as a reliable remote anchor dragging alarm would be very nice indeed. Interestingly, when set to the minimum 50 feet -- less than recommended without Nautic Alert&apos;s external GPS receiver, which I don&apos;t have -- I got a geofence alert that soon cleared itself at about the same time every morning while Gizmo was at her fixed fall berth. We concluded that the changing satellite constellation and the many local obstacles managed to align just enough to foil Nick&apos;s algorithms, so he modified them in the latest firmware. The real test will come with spring and a chance to anchor out (at least where there is cell service). 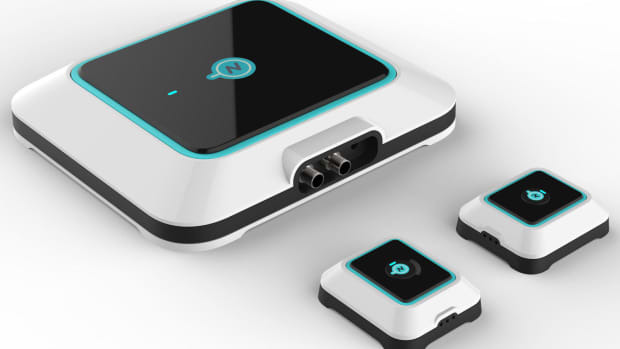 I&apos;m quite hopeful and love the concept of one anchor alarm that will work whether I&apos;m sound asleep up forward, hiking an island, or at a restaurant. 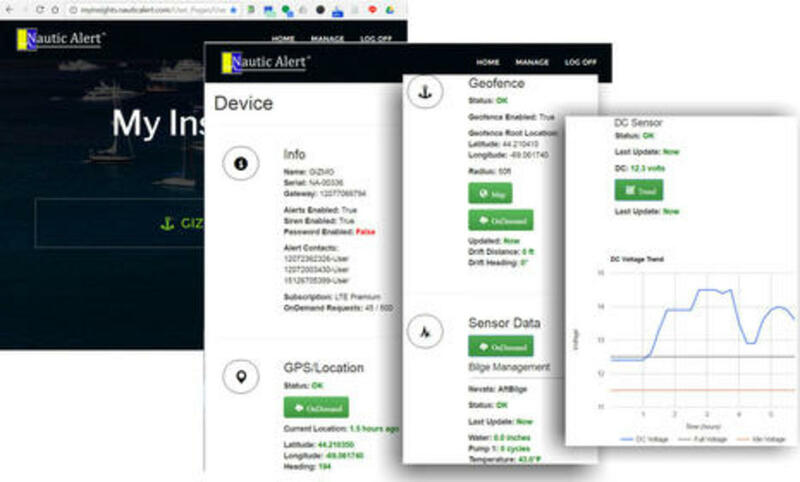 I&apos;ll note that geofence alarming does not have to be precise to catch a boat thief, that it can also be useful if your boatyard moves or launches your boat without telling you, and that Nautic Alert will soon add tracking to its bag of tricks. 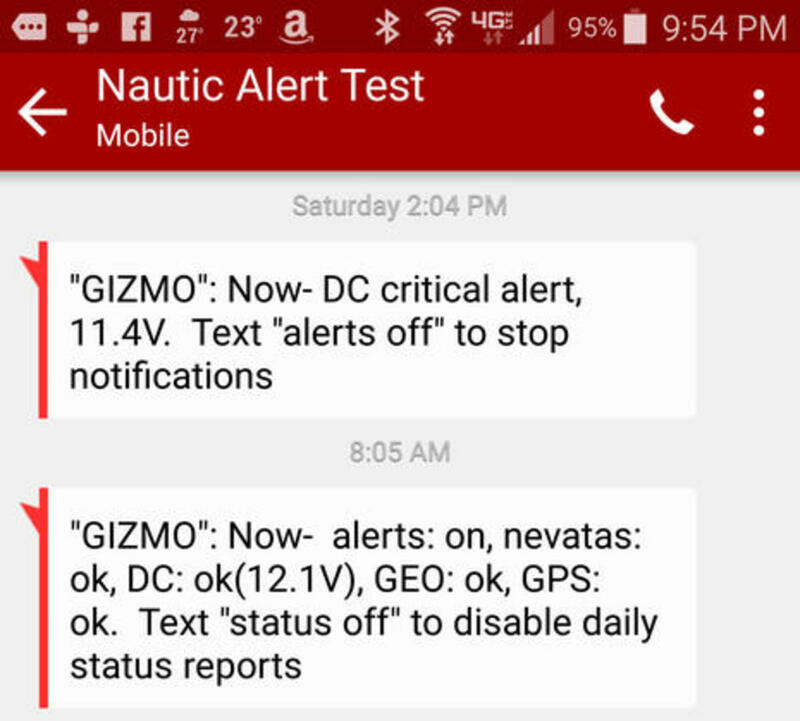 I could go on and on, but here&apos;s a photo illustrating how a Nautic Alert platform user sets up a phone for text alerting and data inquiries. It&apos;s done right, of course, -- the system sends the phone a verification code that has to be entered on the Insight -- but it&apos;s easy via the general setup menu always available under the gear icon. In this particular case the phone number had already been set up once, hence the early January "conversations," but I had to do it again after the firmware update. Tip useful for any text-based monitoring system: The phone number I&apos;m using here is actually a free Google Voice number, not my cell phone number. 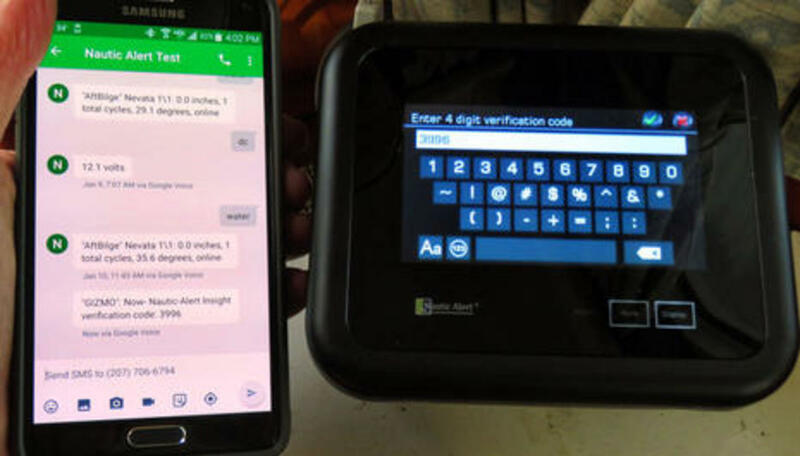 That way I can also converse with the Nautic Alert via email, using my phone or most any connected device, and my phone texting is a separate thing (unless I also register its number). Here&apos;s a collage illustrating what I can see and do on My Insight portal, which just went live recently. Note that it is a web app, no downloads necessary, and it works fine on my phone, tablet or PC. The time stamping of the six-hour DC Voltage Trend adjusts itself if you have not tapped the green button to request an update recently, but in this case I had just come home from a boat project session during which I ran the engine -- mostly for warmth, the dang boiler still isn&apos;t completely installed -- and then the charger. Obviously, I&apos;m a big fan of boat monitoring generally and Nautic Alert specifically. So I&apos;m quite excited about what&apos;s unfolding this year. Since this October Panbo discussion, I&apos;ve installed the very impressive GoFree Track hardware system, am seeing solid WiFi performance (the "global" cell service doesn&apos;t include Camden, but Camden is quite odd that way), and I&apos;m keen to test the soon-to-beta Vessel service beyond the very basic WiFi SD level. 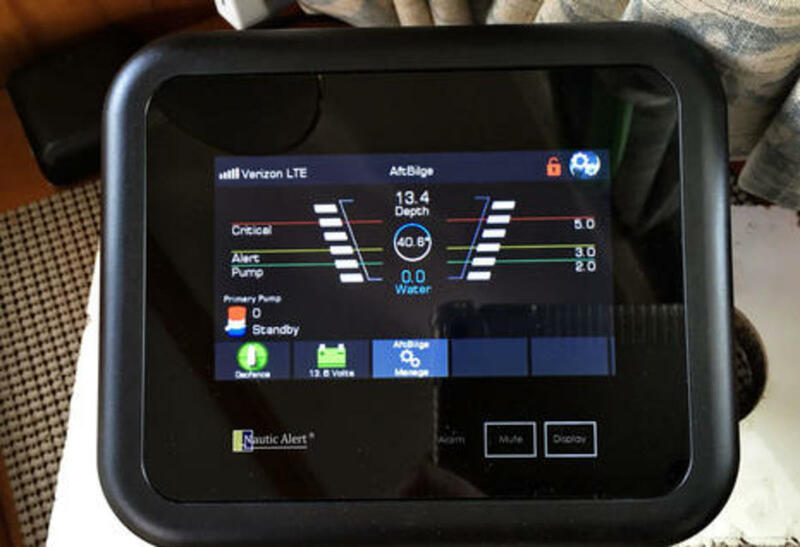 I also hope to try the Verizon version of Yacht Protector (right, the "global" GSM version doesn&apos;t work here), and while Siren Marine&apos;s MTC Connected Boat was delayed, it&apos;s purportedly in production now and I will get to test it. 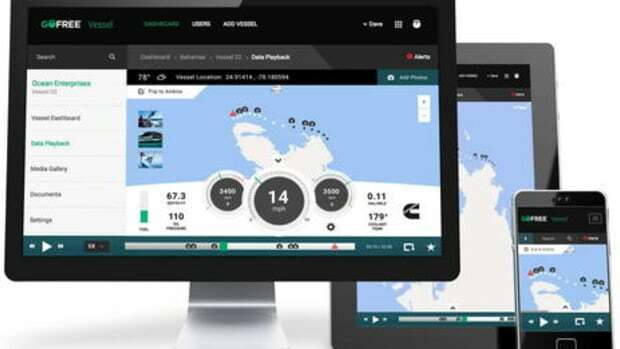 Plus, I&apos;ve reinstalled Boat Command and it remains a reliable and notably cost effective remote system. 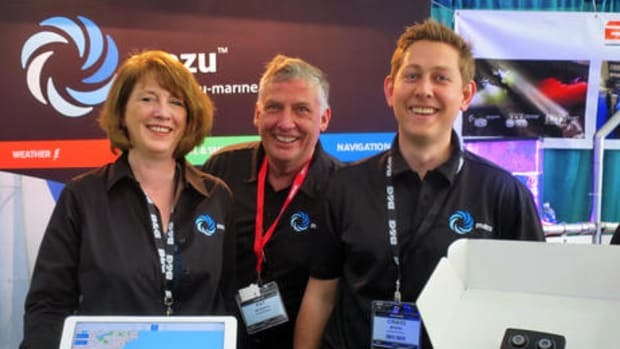 Gizmo may become the most monitored vessel on the planet? If remote monitoring is as valuable as I think it is, all this activity has got to have an effect in the marketplace. Still, though, some of these developers don&apos;t get one easy aspect I find highly desirable. Maybe it makes more sense emotionally than rationally, but I&apos;m convinced that a good system doesn&apos;t just tell you when things go wrong; it delivers the good news, too. Hence, the last Nautic Alert phone screen below. The top message is a regular alert (and speaks to the power issue I&apos;m trying to diagnose). The second text is simply the "I&apos;m OK" message I can get automatically every day simply by texting "Status On" to the Insight once at the time of day I prefer. It makes me feel good. 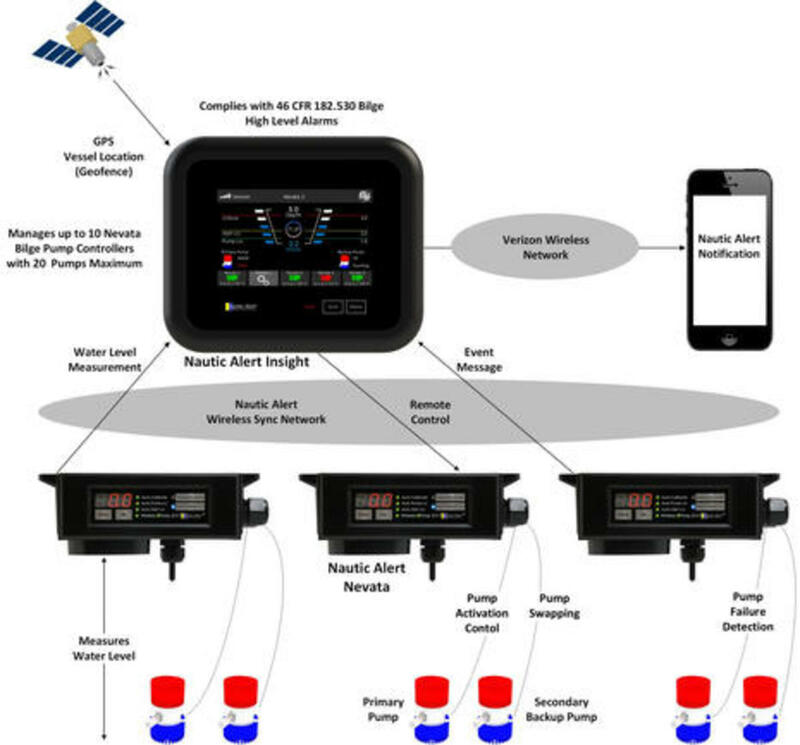 Finally, if not already obvious, the Nautic Alert Platform could be easily extended to sensors beyond the essential bilge, GPS, and battery. 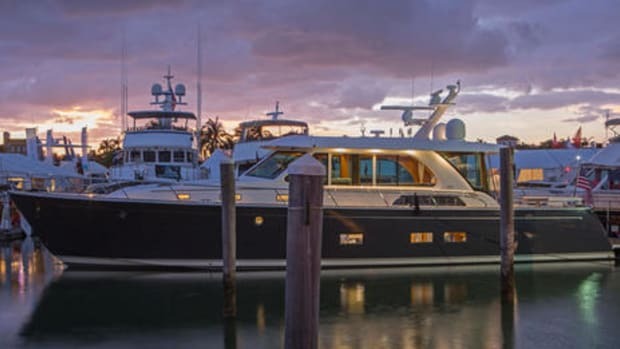 In fact, if you&apos;re coming to the Miami International Boat Show next week, you can ask Nick Velado about that yourself. He&apos;ll be demonstrating his excellent work at booth C284 in the electronics area, thanks to the good folks at Atlantic Radio/SatPhone Store.